Whether your company specializes in finding new residences or vacation home-away-from-homes, you can’t go wrong with our Welcome Home postcard design templates. 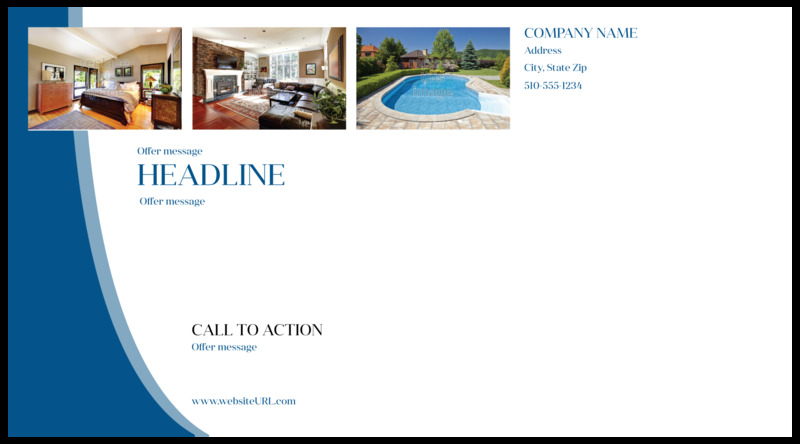 Print custom postcards that showcase your property. 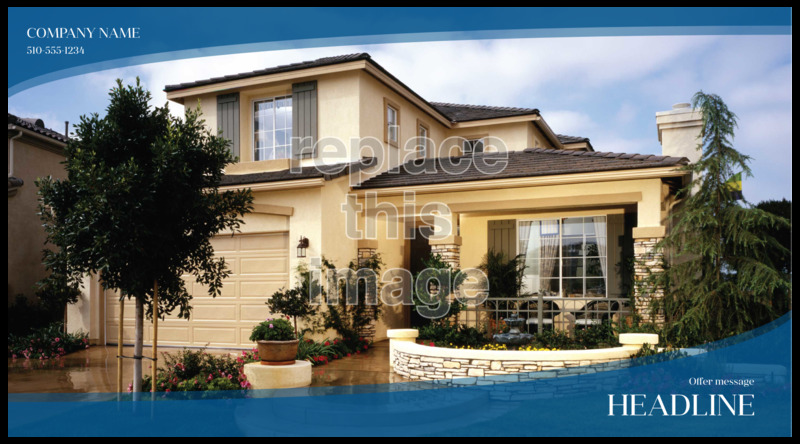 The front features a photograph of your property with colorful spaces, customizable to fit your brand, at the top for your company name and at the bottom for a welcoming message. The back features spaces for three additional photographs of your property, allowing you to highlight your property’s most attractive attributes. There is ample room for your company’s contact information, additional message(s), and a call to action, again accentuated by your brand’s color scheme. Customize your postcard design fast and easy with our easy-to-use design tool! Our online design tool makes it easy to personalize our professionally-designed Welcome Home postcard design template. Pick your layout and color scheme, then let the tool guide you through the process to customize your company name and contact information. Add your own text and photos. When you’re done you can even download a free PDF to share with your friends and team members before printing your custom postcards. PsPrint offers superior quality when it comes to postcard printing. Thousands of businesses trust us with their print marketing materials every day. From premium paper stocks and vibrant soy-based inks to high-quality printing and excellent value, you can expect only the best with PsPrint as your printing partner—guaranteed! Want a luxurious look and feel to your postcards? Consider printing extra-thick ultra postcards with an eye-catching splash of edge color. Our custom printing team is here to help you print the perfect postcards. And don’t forget we also offer other print marketing tools, including business cards, brochures, stickers, and more!